Everyone is interested in saving money when they can! 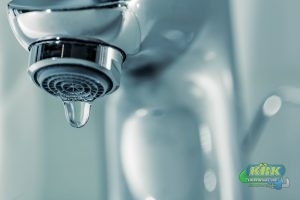 When it comes to your plumbing, there are a few small things you can do to keep everything running smoothly, which will definitely lead to savings. For example, leaking water is still water you pay for. Addressing leaks can save you more money than you think! Below, we’ve included a couple of other ways you can save money by taking care of your plumbing! There are several ways your toilet can waste water without you realizing it. If you hear phantom flushing, which is where your toilet seems to refill of its own accord, that is a clear indicator you have a leak somewhere down the line. You can use food coloring in the tank to see if your toilet is leaking in other ways. After putting color in the tank, wait a few minutes to half an hour. If you see water in the bowl, you know there is a leak! Afterwards, make sure to flush so that your tank isn’t stained by the coloring. Cleaning your garbage disposal can save your from premature garbage disposal repairs, as well as save you the hassle of a garbage disposal clog. If items from your garbage disposal are not properly ground, they can clog your pipes and lead to detrimental back ups. Keep in mind that grease, eggshells, and vegetable or fruit peels should never go down your drain. That includes lemon peels! You can use a store bought drain cleaner to clean it, or baking soda and vinegar. Additionally, you can give our plumber a call for a more thorough system clean! If you need help with any plumbing problems, big or small, contact KRK Enterprises today at 1-800-330-7686 for all of your plumbing needs!